:: Sponsored by: Bennington Museum, Derryfield School Lyceum Gallery, MAKE BIG PRINTS, Roslindale Open Studios, Belmont Gallery of Art, AS220, Artist Open Studios, Rocky Neck Art Colony, Bromfield Gallery, George Marshall Store Gallery, DeBlois Gallery, North Bennet Street School and the Artscope Tablet Edition. 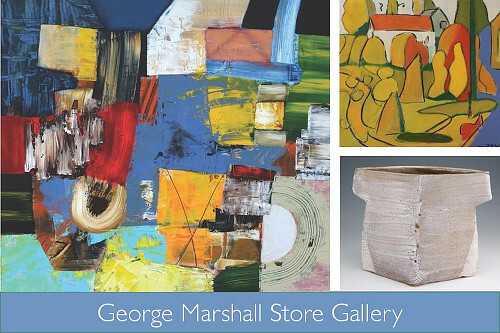 This week we're presenting Standard Space, DeBlois Gallery, and Marblehead Arts Association with engaging work from artists past to present. 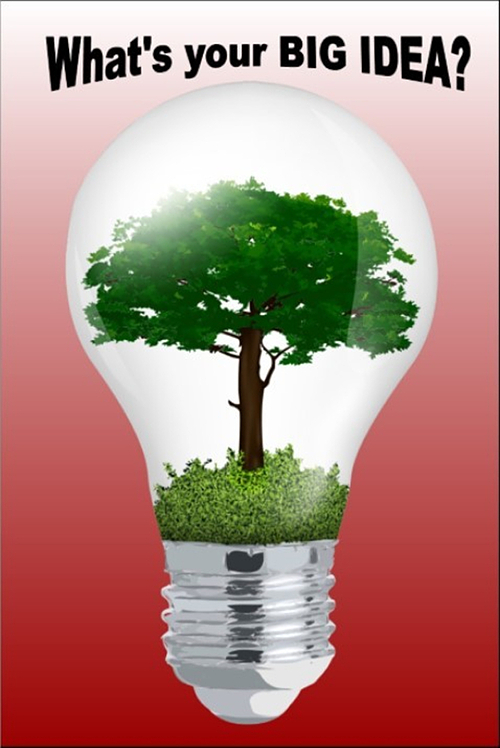 There are also other interesting and exciting events happening soon for those who want more. Starting tomorrow is "Beyond the Pedestal: Isamu Noguchi and the Borders of Sculpture," an exhibition on view at Portland Museum of Art from October 5, 2018 through January 6, 2019. This exhibition, sponsored by Artscope, explores the bold and challenging sculptures of Japanese-American sculptor Isamu Noguchi. Be sure to give it a look! Artscope is sponsoring the Provincetown Art Association and Museum's 13th Annual Benefit Gala, happening October 6 from 5:00 p.m.⎻11:00 p.m. The gala celebrates Provincetown Art Association and Muesum's member artists and all they do for the organization. Reserve your tickets today by clicking here! 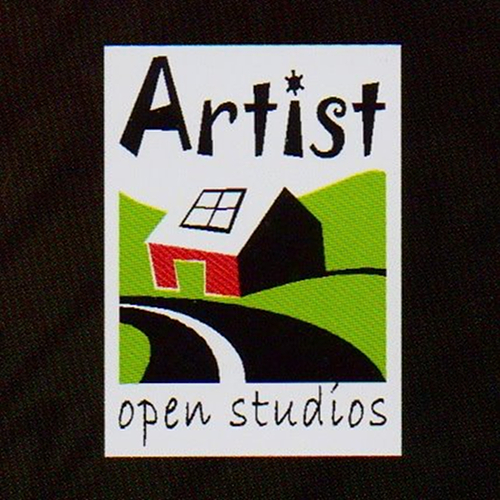 We're also sponsoring Monadnock Art's Annual Open Studio Art Tour happening October 6⎻8. The tour takes viewers through the towns surrounding Mount Monadnock to discover the places where artists work and take in the beautiful countryside. The tour is self-directed and free to the public, so take a look! 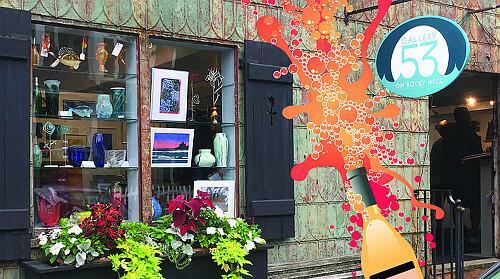 Maine Craft Weekend is coming up on October 13 and 14! Sponsored in part by Artscope, this event is a chance for viewers to explore the artist studios, galleries, events, workshops, and demos of Maine in a self-guided tour. Those who plan to attend are encouraged to "check in" online, which can be done here, in order to get suggestions and information on potential routes of interest. Check in and check it out! Artscope's website has a brand new look! We've redesigned and enhanced artscopemagazine.com, creating a dynamic site with trending articles, popular articles and seamless multi-platform reviews, a listings feed, an events calendar and more. Check it out today! Plus, remember to download the free Artscope mobile app. It is available for iPhone, iPad, DROID & Tablet, and can be downloaded here or in the App store or Google Play. 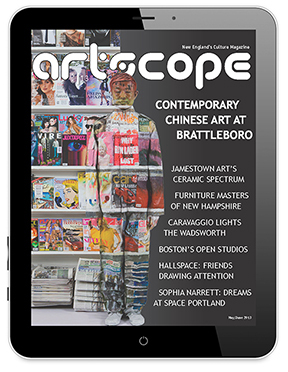 The Artscope app will give you important news, gallery & sponsor listings, live feed of Artscope Online posts, current issue excerpts and interactions that make you an integral part of the Artscope universe. Come experience the dialogue that is taking place on Artscope Online right now! Our comment box feature allows you to give your remarks and feedback through your Twitter, Facebook or Google accounts. This is just another way to continue the art discussions that make up the Artscope universe. Also, you can visit the Artscope breaking news feed on the current exhibitions page of our website to see what's happening today through tweets sent directly from your favorite galleries and museums. When you attend an exhibit, after learning about it through the feed, please mention that you saw it in Artscope. Ghost of a Dream, counting flowers on the wall, 2018, used playing cards from Trump Plaza and the Miccosukee Nation casinos on panel, 82" x 41". From October 6 through November 4, Standard Space will be presenting "I'll be with you when the deal goes down," an exhibition of new work by Ghost of a Dream. Artists Lauren Was and Adam Eckstrom formed Ghost of a Dream in 2007 while attending the Rhode Island School of Design. The talent of this creative duo ranges from small to large-scale installations created with discarded material and mixed media. The exhibition pieces are made entirely from old playing cards once used in American casinos with Optical art-like designs that create intense, repetitive patterns. 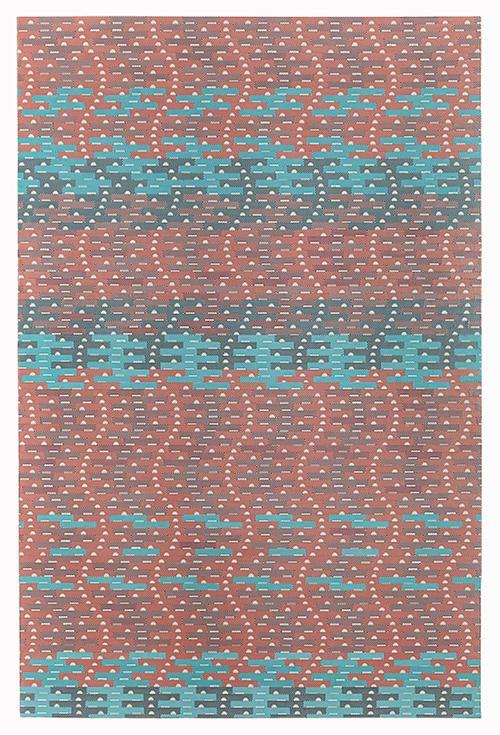 These patterns are an abstract recreation of the excitement and anticipation felt by the brain when hoping to win a round of gambling. The cards carry with them a history of losses and broken dreams, even as they make up pieces that demonstrate the excitement before the fall. As with much of Ghost of a Dream's work, the pieces in "I'll be with you when the deal goes down" recreate people's dreams from the point of view of the hapless dreamer. There will be an opening reception Saturday, October 6th, 5:30 p.m.⎻8:00 p.m. Standard Space is located at 147 Main Street in Sharon, Connecticut and is open Friday⎻Sunday 12:00 p.m.⎻6:00 p.m. For more information, please visit standardspace.net. Sponsored by: Bennington Museum, Derryfield School Lyceum Gallery, MAKE BIG PRINTS, Roslindale Open Studios, Belmont Gallery of Art, AS220, Artist Open Studios, Rocky Neck Art Colony, Bromfield Gallery, George Marshall Store Gallery, DeBlois Gallery, North Bennet Street School and the Artscope Tablet Edition. 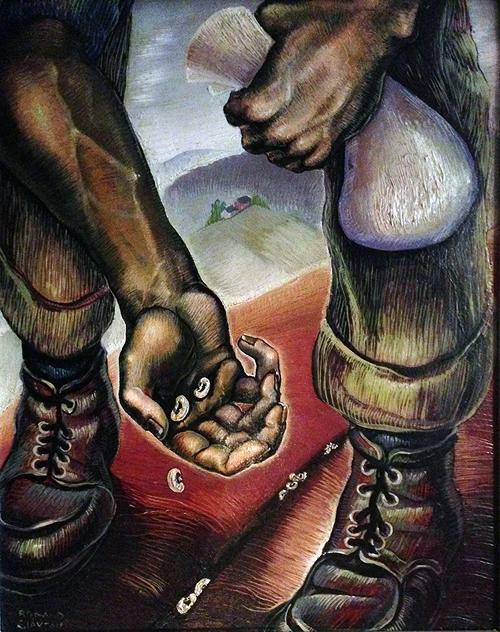 Ronald Slayton (1910-1992), The Planter, 1937, oil on homasote, 24 x 20 inches, collection of Billi and Bobby Gosh. This exhibition sheds light on the important, under-studied aspect of Vermont's history (1933-1944), focusing on the role of government sponsored New Deal projects. It features photography, paintings, studies for post office murals, furniture from the CCC cabins, architectural plans, audio transcripts created by the Federal Writers Project as well as powerful examples of Regionalist and Social Realist paintings by Francis Colburn and Ronald Slayton. Open Daily, 10:00 a.m.⎻5:00 p.m. Reception for the artist: October 5, 2018 from 5:30 p.m.⎻7:00 p.m. with an Artist Talk at 6:00 p.m. 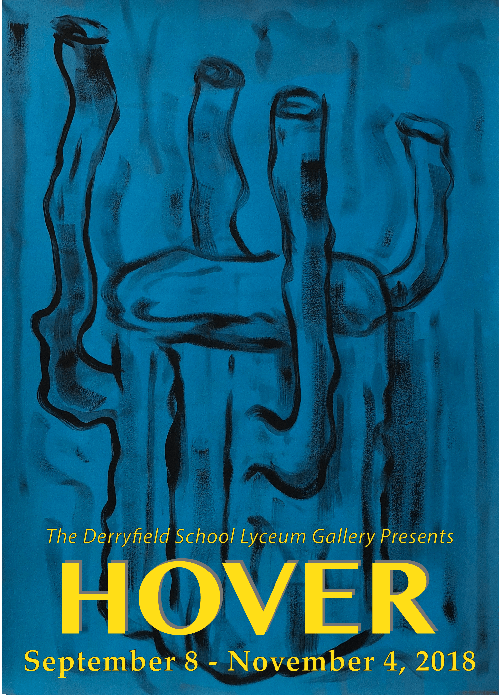 The Derryfield School Lyceum Gallery is pleased to announce the opening of Hover, a solo exhibition of paintings and drawings by New Hampshire-based artist, Patrick Dunfey. This exhibition will feature both small- and large-scale paintings ranging from Dunfey's work in the early '90s to his most recent work from 2018. Inspired by early American journals and music, automatic drawings, and his own writing of lyric songs, Dunfey's work hovers between precision and flow, between ideas and expressions, moments, and feelings. Up to 48" x 96"
Print on watercolor paper, canvas, fabric or photo paper. From digital files or original art. The Epson 9890 at my Somerville studio uses archival pigment ink. Prices start at $25 for 24" x 36". Email Gary Duehr at info@makebigprints.com for more info. Use code AS18 for 10% off your first job. 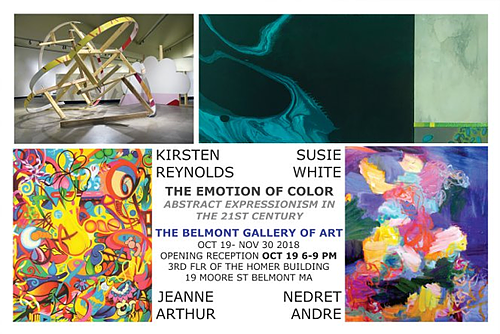 At the Belmont Gallery of Art: The Emotion of Color: Abstract Expressionism in the 21st Century (October 14⎻November 30) featuring contemporary artists Nedret Andre, Jeanne Arthur, Kirsten Reynolds and Susie White. N. Almada | J. Booth | S. Malik | K. Mahoney-Cobb | A.K. Redfearn. PROJECT SPACE @93 Mathewson St.
RESIDENT GALLERY @131 Washington St. 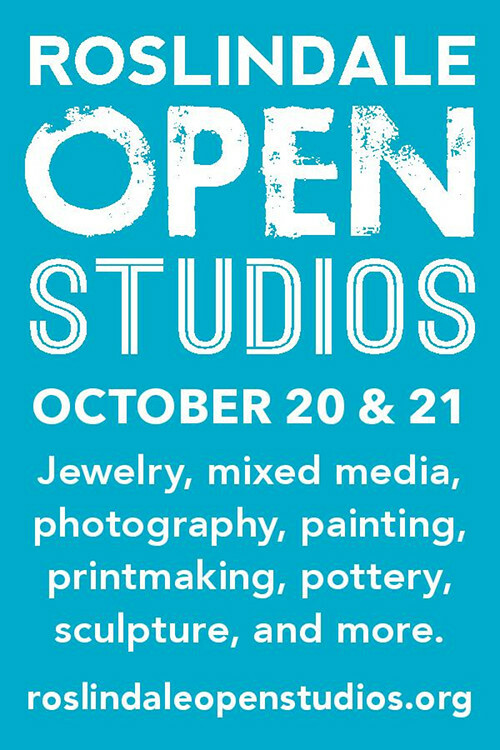 Artist Open Studios welcomes you to a free self-guided studio tour of scenic Northwest Rhode Island featuring thirteen talented artists working in diverse media. There will be demonstrations of glass blowing, painting, pottery, porcelain and other art-making techniques. artistopenstudios.org or to request a brochure/map call: 401-241-7725. Visit the Rocky Neck Art Colony in Gloucester, MA. * October 6, 6:00 p.m.⎻8:00 p.m. Season's End Party at Gallery 53 on Rocky Neck, artists' handmade door prizes, music, refreshments. Free. Open to public. * Collective (un) Conscious at Gallery 53 through October 14. * October 20, 4:00 p.m.⎻6:00 p.m. Reception for two shows at Cultural Center Gallery: Montserrat College of Art, Landfall and Paint! Paint! Paint: Stephen LaPierre Paints Rocky Neck. October 18⎻November 18, 2018. 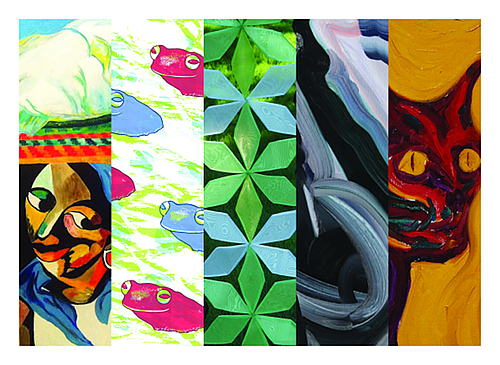 * YIELD at the Cultural Center Gallery through October 14. * October 26, 7:00 p.m: Closing conversation with Iranian Artist Azita Moradkhani, RNAC Residency Studio. Bert Katz, Alexameta Series, 1994, pen and gouache, 6" x 9". DeBlois Gallery will be showing "Lost & Found - Reclamation and Celebration" beginning October 6. "Lost & Found" showcases the work of New York surrealist Bert Katz (1934⎻2012) and Rhode Island sculptor R.L. Stetson. 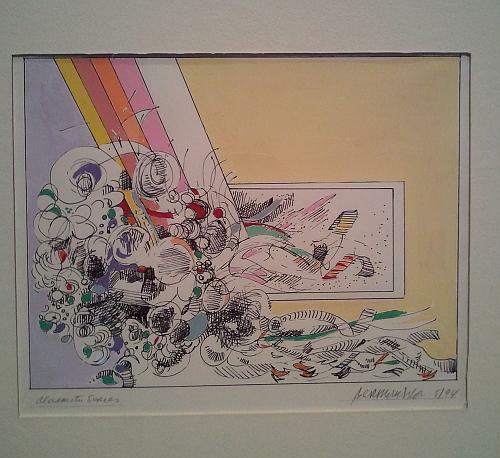 Katz's long and prolific artistic career included multiple shows during the New York Art scene in the 50s and 60s. His work includes large-scale acrylics, Trance Drawings, and gouache paintings reflecting the abstract surrealism of the 60's. In the 1990s, Katz produced The Container Series and The Alexameta Series, gouache paintings in highly saturated colors. Katz's work for this show was curated by the Deblois Gallery and Nancy Whipple Grinnell, Curator Emeritus of the Newport Art Gallery. Sculptor R.L. Stetson uses wood and found materials to create works of all sizes, from simple affairs made with small branches and sticks to 200-pound rocks suspended with chain and cable. All are welcomed to an opening celebration on Saturday, October 6 from 5:00 p.m.⎻7:00 p.m. Both Stetson and Katz's daughter, Margo Isadora Katz will be attending and talking at Gallery night at DeBlois Gallery on Thursday, October 11, 5:00 p.m.⎻8:00 p.m. DeBlois Gallery is located at 134 Aquidneck Avenue in Middletown, Rhode Island and is open Wednesday⎻Sunday 1:00 p.m.⎻5:00 p.m. For more information, please visit debloisgallery.com. Now on view at Marblehead Arts Association (MAA) in the Parlor Gallery is "true", a solo-artist exhibition featuring the work of Marblehead painter Anthony Padula. He pursued an education and career in the sciences before following his artistic passion. In 2008, he began his art education by studying under David Leffel, and quickly gained recognition after his first solo exhibition in 2011. He is an artist member of the MAA, has been selected by jury multiple times for exhibition at The Guild of Boston Artists, and has won several awards for his work, in addition to being featured in private collections across the world. Despite his success, he still considers himself a student, with a healthy obsession with his craft and a tireless drive to keep improving. This attitude is encapsulated in his succinct artist statement: "To Make a Beautiful Painting." He captures still lifes, portraits and figures with a keen focus on light and shadow. 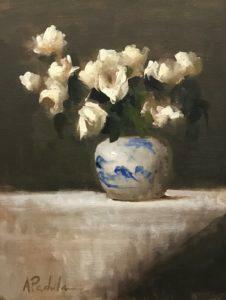 He describes his new work as "A new collection of still life, floral, and seascape oil paintings, focusing on the quiet, hidden, and pure simplicity of each." MAA will be hosting two free artist demos with Padula from 10:00 a.m.⎻12:00 p.m. on October 6 and 20. Interested patrons can call (781) 631-2608 to reserve a spot. MAA is located in the historic King Hooper Mansion at 8 Hooper Street in Marblehead, Massachusetts and showcases local and regional artists. It is open Tuesday⎻Friday and Sunday 12:00 p.m.⎻5:00 p.m. and Saturday 10:00 a.m.⎻5:00 p.m. For more information, please visit marbleheadarts.org/current-exhibit. 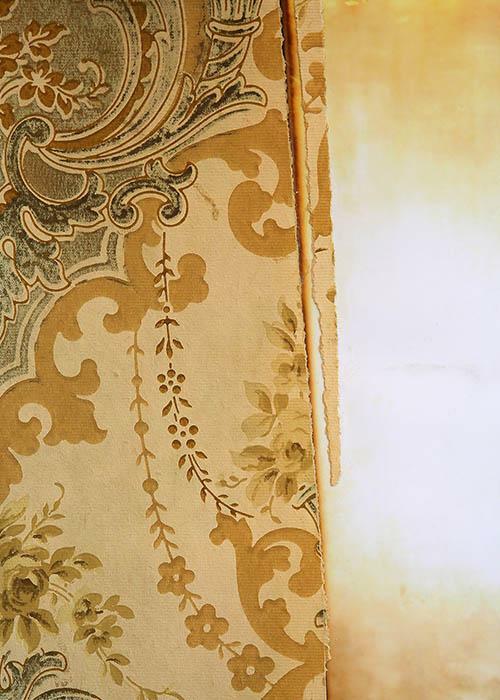 Gayle Caruso, The Light and the Yellow Wallpaper #2 (detail), photo collage, 20" x 16", 2018. 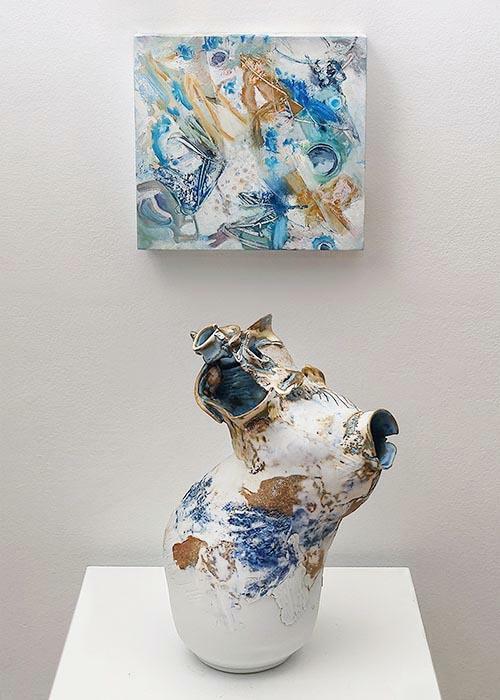 Elizabeth Strasser, The Gentle Barbarian, oil on board (top) and porcelain, 2018. 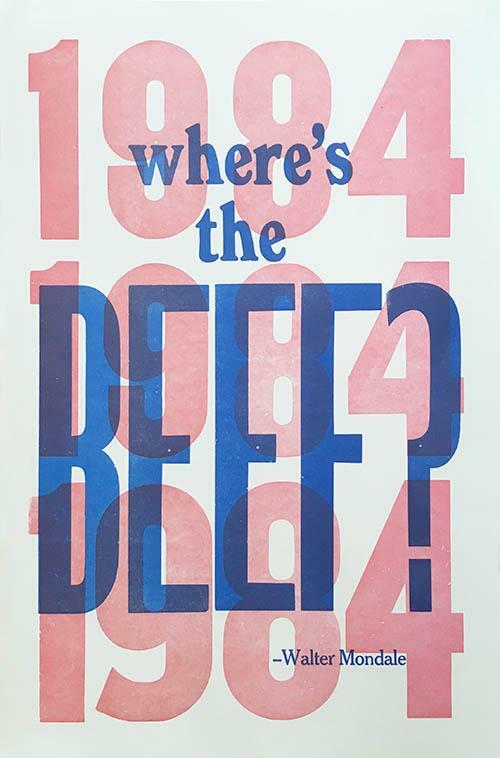 Sofie Hodara, Untitled, letter press, 2018. From October 3⎻28, Bromfield Gallery presents three exhibitions that explore mixed media, ranging from silkscreen to porcelain to AR (augmented reality): "The Light and the Yellow Wallpaper" by Gayle Caruso; "Porcelain Muse" by Elizabeth Strasser; and "In Pursuit of Happiness" by Sofie Hodara and Martha Rettig. The opening reception is Friday, October 5, from 6⎻8:30 p.m.
Wednesday⎻Saturday 10:00 a.m.⎻4:00 p.m. and Sunday 1:00 p.m.⎻4:00 p.m.
Open, unjuried show & pre-holiday sale featuring SMALL WORKS - BIG IDEAS! Max size 15" x 15", or 60" total circumference, all media. Delivery October 28, 29, 1:00 p.m.⎻5:00 p.m. 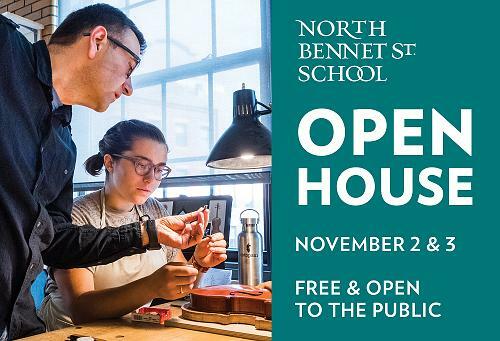 Opening November 3, 5:00 p.m.⎻7:00 p.m.
View demonstrations throughout the building, learn more about our programs, shop our store, and connect with a like-minded community of craftspeople. Free and open to the public.